Day trading podcasts are not everyone's cup of tea. While podcasts might have seen its peak during the height of the iPod era, they are still widely sought after, albeit by a select set of audiences. A podcast brings with it some benefits which other forms of media do not. For starters, if you are on a long commute to work, a podcast is ideal not just to kill the time but also an efficient way to listen to a subject that piques your interest and doesn't cost much in terms of bandwidth (assuming that you enable automatic downloading of the podcasts). A podcast is merely an audio program that you can play on your iPod or smartphone. You can also listen to a podcast on your desktop or laptop or even your tablets. A podcast typically lasts from 20 minutes and can be much longer in duration and it follows the format of a radio-talk show. Think of podcasts as an audio-blog. 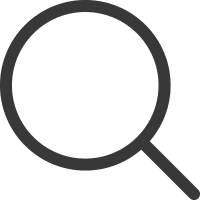 There are some distinctive advantages with an audio-blog or a podcast; it is to do with the fact that, because there are no restrictions on the word count, a podcast can go into much deeper details. 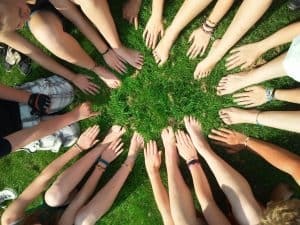 While podcasts were primarily the domain for iPods, over time, the advent of smartphones and the numerous apps has made it easy for anyone to subscribe to a podcast and enable automatic downloads, so you can listen to it on the go without having to rely on a stable internet connection. For day traders, most of whom have regular full time jobs, day trading podcasts are ideal as they can be used to learn something new while on the go. Even if you were to drive just 20 - 30 minutes one way, listening to a podcast can be a good way to improve your knowledge about trading. There are many day trading podcasts that are available and interestingly some of them are also paid. 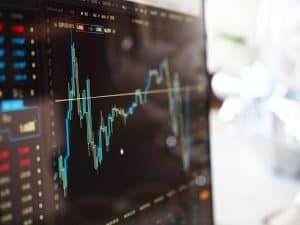 For an industry where scams are just part and parcel of the industry, with a little bit of research there are tons of interesting free day trading podcasts that you can listen to. And mind you, don't assume that just because a podcast is free of cost it doesn't add value, you will be surprised to find that some of the podcasts that require a higher subscription fee are actually worthless compared to free day trading podcasts. In this article, we look at some of the best day trading podcasts that you can listen to, free of cost, along with a brief introduction into the podcast and what type of content you can expect. There are some podcasts that come with a subscription fee, but the top five free podcasts are no doubt one of the best in terms of content and value they provide. 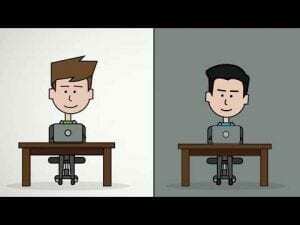 Are there any drawbacks to day trading podcasts? So why should you listen to a day trading podcast then? Want more day trading podcasts? 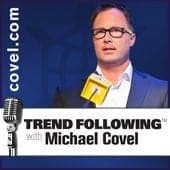 Michael Covel's Trend following podcast ranks on the top. A well known name in the industry, Michael Covel has also authored quite a few books. His most famous was of course the Trend Following which is based on the Turtle Trading system which makes use of Donchian channels for trading. Covel was also interviewed on Bloomberg View and is a well known name in trading and financial industry. Michael's Trend following podcast is not particularly a "day trading" podcast but rather features interviews with well known names from all walks of life. In particular, there have been a few Nobel prize winners being interviewed in his podcast as well as traders who have some form of accomplishment in their kitty. 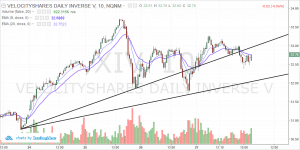 You won't trading strategies or learn how to trade S&P500 e-mini futures in Michael's podcasts, but will no doubt learn from other traders on a myriad of things that one should pay attention to when trading. You can download the podcasts via the iTunes store or Google play. Click here to see other ways to listen to Michael Covel’s Trend following podcast. 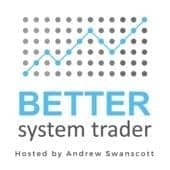 Better System Trader is a podcast and a blog that was put together by Andrew Swanscott, the founder. The podcast can be interesting for systems traders or mechanical traders. However, if you are just looking out for new trading strategy ideas or looking at ways on how to improve your existing trading strategy, Better system trader is the place to go to! The podcast has received praise from different members within the trading circle. Better System Trader is a free podcast that is not just limited to talking about trading strategies but also focuses on money management as well as tips and tricks from other traders who are interviewed. Although Better system trader’s podcasts have to do with trading systems, it is not confined to just one market, therefore listeners can apply the strategy ideas to any markets of their choice. You can listen to the Better system trader either via iTunes store, Stitcher or Soundcloud or simply visit the Better System trader website's podcast section for the latest podcasts. Better System trader also constantly updates with a follow up from the podcast on their website, so you can find tons of trading codes (for different trading platforms) and ideas to fine tune the trading systems you might come across from the Better System Trader podcast for day traders. 52traders is a podcast for day traders. If you prefer a more straight forward approach to trading and want to know or get a feel of how other traders feel about the markets, their trading systems and strategies, 52traders is a podcast worth subscribing to. The podcast is hosted by Cam Hawkins and his story about his foray into day trading and the usual traps one falls into such as buying trading systems, software and so on is a familiar story. Cam Hawkins hosts this weekly podcast which talks about all things to do with trading, including dedicating a decent amount of air time towards trading psychology. 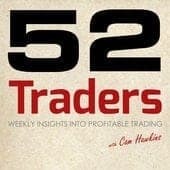 Cam is no trading guru which he mentions outright on his blog 52traders.com and you are bound to get drawn to the 52traders podcast merely for the fact that Cam offers a no-nonsense approach to his podcast and more importantly, many day traders will find themselves to be in a similar spot. At 52traders.com you can learn about trading psychology, how to go about on your journey towards financial independence, the pitfalls of day trading and how to overcome them, trading systems and strategies as well as discussions on the market developments. 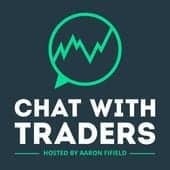 Chat with Traders is a podcast that stays true to its name. It is a podcast which features a weekly chat show with traders. Some of the most famous names that have appeared on Chat with Traders includes Jack Schwager, Linda Raschke among other big names. Aaron Fifield started out his venture only recently and Chat with traders has been around since 2015. Chat with traders is a conversation between Aaron and the trader being interviewed and you can expect a myriad of topics being broached. 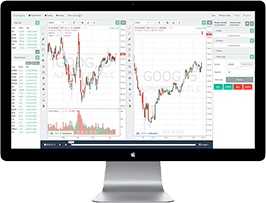 This also includes, learning how other traders look at the markets, glimpses into what trading strategies and indicators traders use in their trading activity among other things. 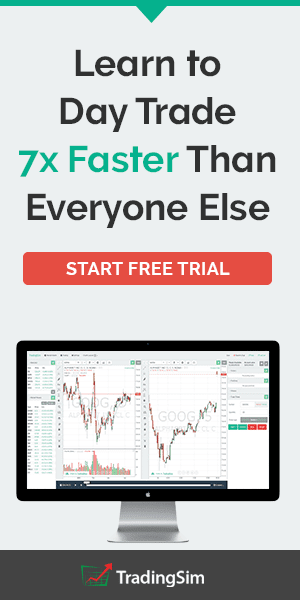 Chat with traders is not just "yet another day trading podcast" but has been featured on big websites including Business Insider, Investopedia. 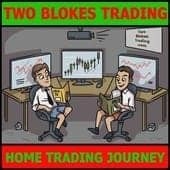 Two Blokes Trading podcast is a funny yet interesting day trading podcast which is more inclined to the forex trading markets. It features a conversational style of a podcast between Tom and Owen who talk about their trading, cover the week in trading and also features interviews with some well known traders in the industry. Two Blokes trading podcast also features reviews about various trading tools and software, book reviews among other things. Tom is a 29 year old trader and a former Army officer while Owen is a 29 year old Oxford University grad student. Tom and Owen are likely to strike a chord with most traders as their podcast talks about their foray into day trading. Listeners should be warned that the language can be a bit explicit. For all the greatness, day trading podcasts have a major drawback which is the concepts. For example, if one were to learn about a new trading system, a podcast is definitely not worth it, as for such type of content you need visual aid to understand the concepts better. 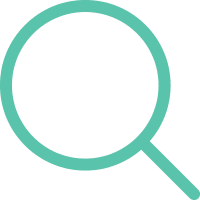 This means, that a youtube video or just good old text content with pictures of charts and illustrations are able to drive home the point better than someone explaining you a trading concept via audio, with just your imagination to help you with it. Think about it for a second. A simple concept such as drawing a Fibonacci measurement from a recent swing low to swing high is a lot easier to explain with the aid of images or an illustration than explaining it via audio. Secondly, there are no charts for you to follow as well, making it even more complex if not difficult to comprehend. Day trading podcasts are ideal for only certain types of content, such as discussing a trading concept, talking about the recent market developments or the fundamentals, or trader interviews. The biggest benefit with podcasts (or for that matter with any audio type of content) is in the interviews. Every so often, a day trading podcast that has an interview with some traders or some experts in a certain field can give out tons of wisdom which might be missed otherwise. When listening to day trading podcasts, traders should focus on live interviews as there are the best places. Because there is no script to follow but just a set of questions, traders can expect to hear some interesting nuggets of wisdom from the person being interviewed, especially if they are well experienced in the markets. While talking about podcasts, one might ask why listen to a podcast when you can listen to better programming from a live radio such as Bloomberg. The answer lies in the fact that with live radio, you can’t really pause and playback the content, which is one of the biggest drawbacks that offsets the advantage of the live and impromptu interviews that are often aired on live radios. With a podcast on the other hand, because the files are downloaded and saved you can always playback and listen to a segment of the program that catches your attention. Furthermore, even if you deleted the podcast from your device, you can always head back to the podcast program and download old episodes from there. This is what makes a podcast a better option than compared to a live radio, which by the way cannot be written off completely. In conclusion, listening to a day trading podcast can be beneficial for those who are commuting to work and are seriously committed to learning how to improve their day trading. There are many podcasts and most of them are free. You can subscribe to these or just start off with the ones listed above to help you warm up to the idea of listening to a podcast. You will find tons of information that surprisingly aren’t covered on regular media such as blogs or even video. Furthermore, the amount of information you get by listening to a good and reliable podcast is better than the expensive fees some traders pay enrolling in a paid course. You can visit https://player.fm/podcasts/Trading and browse through the various categories including day trading, forex, futures, economy, stock markets and many more. Bear in mind that some podcasts featured haven’t been updated in months, but they still make for an interesting piece of conversation worth listening.